In the last few years, email has really set itself as the most popular and widespread means of marketing. For now, it is the main tool for business communication, one of the primary ways to do sales, and one of the most important channels for client support. Possibly the best thing ever developed in the world of email marketing is automation in the form of drip campaigns. Let’s take a close look at how drip campaigns can be used to nurture your leads and convert better. What’s a drip campaign anyway? 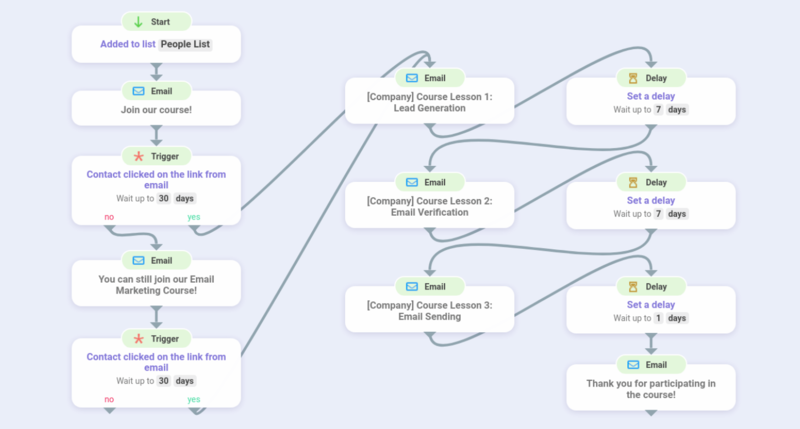 A drip campaign is a triggered email campaign that is sent automatically one email at a time, with multiple flows depending on the recipient’s actions. Once you create a drip campaign, you no longer have to send each email in your campaign manually – it’s all done automatically with set intervals at scheduled times. No need to follow who opened your email and who replied – the flow sends different follow-ups if your recipient opened an email or ignored it all by itself. Time-saving: It will take you anywhere from 15 minutes to an hour to create a drip campaign that will last months and save you days of work. Easy to create: Using drag-and-drop campaign flow editors is super easy. 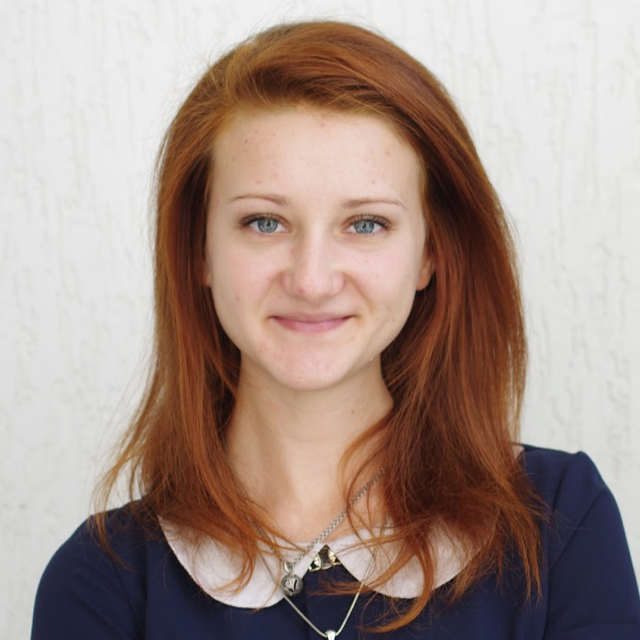 You don’t need any prior experience with campaign building. Multifunctional: If your drip campaigns tool comes as a part of an all-in-one outreach platform, you have a chance to save even more time/money by automating the list building as well. Even if it doesn’t, drip campaigns tool will help you take care of promos, follow-ups, link building, and so much more. Support is a part of lead nurturing: providing actually valuable info and answering your leads’ questions improves your chances to move the lead forward in their buyer journey. However, there are more ways you can nurture your leads and automate the whole process. Do you have relevant articles, booklets, or PDFs? Or maybe a series where you cover the topics relevant to your audience? You can use this branded content to nurture your leads! 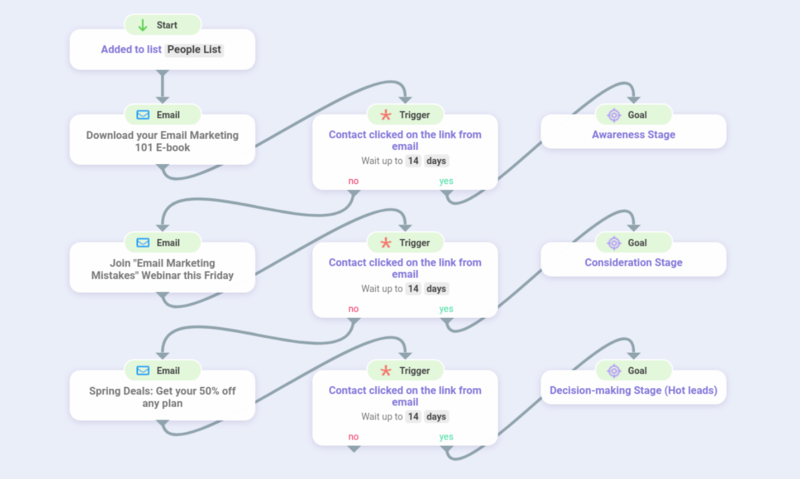 Create an automated flow of emails that can help them use your product/service to its fullest potential, or send curated content your users will be interested in. Don’t try to sell in these emails – your only objective should be helping your user. We recommend you create such automated flows once every couple of months and update them with fresh info when necessary. Most businesses, especially SaaS ones, have prepared resources to help their users and customers with any problems they might face. These could be a knowledge base, FAQ page, etc. However, you can also nurture your leads by offering them solutions and tips before they even face problems. Just send them guides on the most common issues your users/customers usually face. This way, if your user faces a problem, they will appreciate having the solution handy. You can also provide your users with email tutorials that will help them not solve the problem after it has already appeared, but to prevent it. Such drip campaign can look exactly like the previous one, but you can get a deeper insight into your audience by sending guides separated by topic to find out exactly which issues are the most common. You can find this out by checking out which emails get most opens/link clicks. We also strongly suggest presenting this email campaign as a course or an academy – each week the recipient will receive a list of articles on a certain topic. This will also double as onboarding. Make your recipients click on a link to agree to receive this campaign; the trigger will automatically send it to those who have clicked the link in the initial email. Sometimes your leads will simply ignore your emails. No email campaign shows 100% open rates, and that’s okay. However, you can try to re-engage them. If your recipients have not engaged with your previous two nurturing campaigns, it could be because those simply don’t fit their needs. Leads at the awareness stage are looking to get more information about the products or services you provide. This is a perfect time to offer them a guide, an e-book, articles, and other educational content. At this point, your lead knows what you do, but they need to evaluate the problem they have and the level of urgency it should be approached with. To push them further in their journey, offer them to participate in a webinar, send them a case study, or if you are offering a physical product, some samples. This stage is pretty self-explanatory: your lead is hot, and you have to act as fast as you can. This is the perfect time to offer them a free trial, a demo or a discount. By covering all the options, you will find out exactly which stage your lead is at and continue accordingly. When choosing a tool to create and send out your drip campaigns, there are a lot of variables – the editor format, the statistics tracked, the elements, and, of course, the price. Snov.io is a powerful all-in-one outreach automation tool. Its main feature is Email Drip Campaigns. 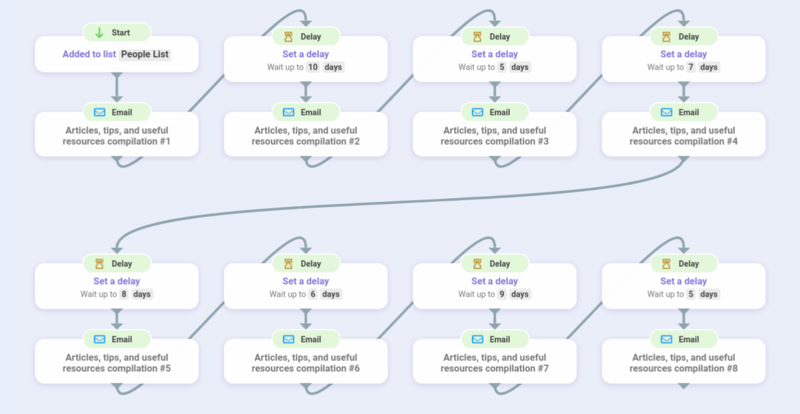 It’s very easy to use: just choose elements in a drag-and-drop editor and connect to create a campaign flow. This tool uses the user’s own Google account or SMTP to send out emails. Great for nurturing with features like triggers, delays, personalization, HTML-editing, scheduling, and attachments. Use pre-written email and campaign templates or save your own emails as templates for future use. Also offers real-time statistics and automatic reply detection. The platform also offers other email marketing tools – Email Finder, Email Verifier, Email Tracker, and more. Plans start at $29/month for 1,000 campaign recipients. In general, this platform is similar to the previous one in many points: you can create an email sequence with delays and set the days when the emails are to be sent. The messages can be personalized and the campaign stops for the recipient when you get a reply. You can create your own campaign and emails or use templates. Within the smallest plan ($70 per user per month) the user can reach out to 1,000 people. In the email campaign builder, the users can compose an email sequence with personalized emails, set the sending times and the number of recipients per day, add recipients manually or upload a list. The statistics show how many emails were delivered, opened, clicked, and replied. There’s a limit of 500 emails per day. Within one email campaign, you can only add up to 7 follow-ups. Plans start at $40/month. Are drip campaigns good for nurturing leads? 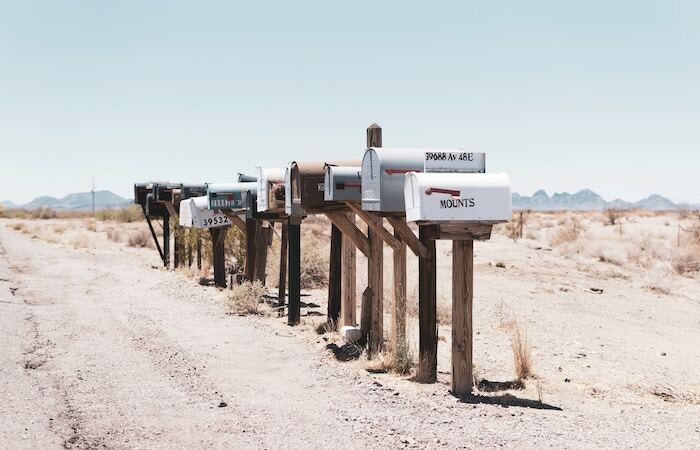 Email automation offers a great way to open another nurturing channel to maximize your marketing and sales efforts and push your prospect along their buyer journey. In fact, 51% of companies claim to use automation, with 47% of marketers believing it’s worth the price. Just remember that nurturing is all about providing as much value to your prospect as you can, with minimal salesiness. Use any valuable content you have, especially videos: according to Forrester, attaching a video to your email can lead up to a 300% increase in CTR.